Don’t let your messy lead data in Salesforce stop you from accurately targeting your accounts. Lead-to-account matching technology can help you skip the hours of manual data cleansing, but how can you know which solution is best for you? 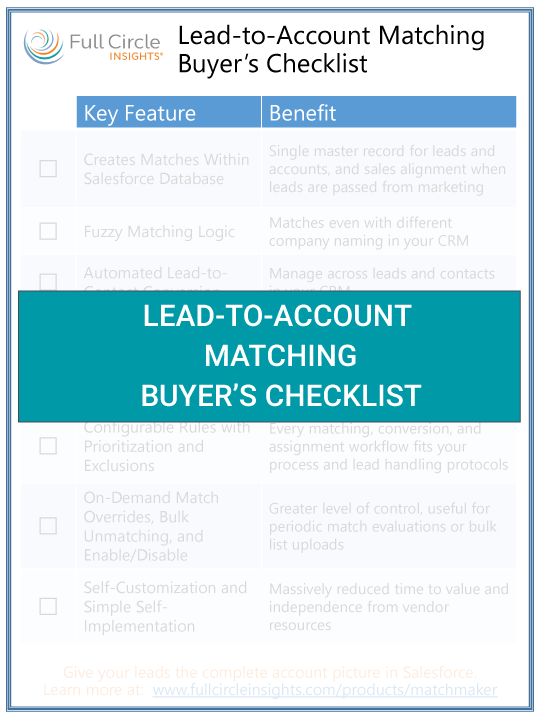 The Full Circle Lead-to-Account Matching Buyer’s Checklist is a 1-page checklist that highlights the top 8 features to look for in a lead-to-account matching solution helping you to make a smart buying decision for your business. 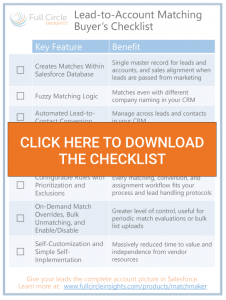 Thank you for requesting the Lead-to-Account Matching Buyer’s Checklist.